Prepping a “What to do in Yogyakarta” list for your upcoming trip? Look no further. 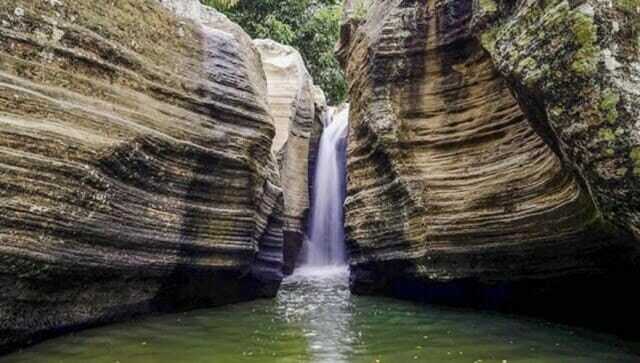 We have here the top 9 natural spots that you can find in Central Java. Mt. 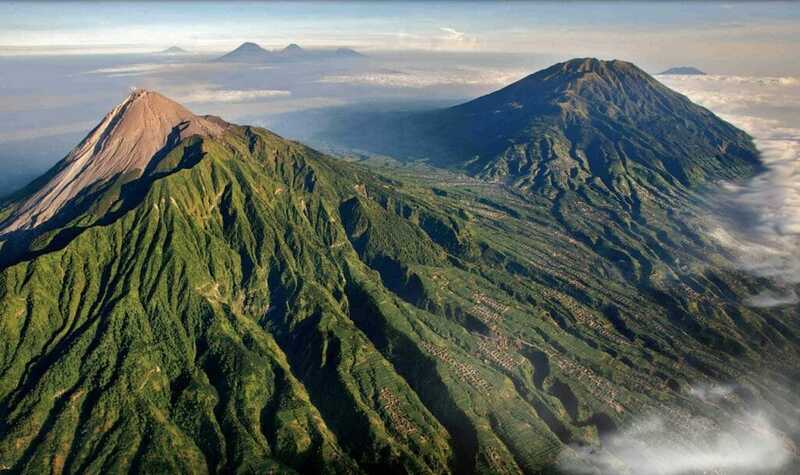 Merapi, also known as the “fire mountain” is one of the most active volcanoes in the world. Despite its frequent eruptions, it plays a pertinent role in the lives of the Indonesians. The ashes, minerals, and lava spewed out of Mount Merapi provide precious nutrients to the surrounding soil, consequently hundreds of locals to the area. Rather than travelling to far-flung destinations to hike up Iceland’s Eyjafjallajökull or trek to Tibet’s Mount Everest Base Camp, you can check off your bucket list in Yogyakarta and boast to your friends that you have conquered a volcano! For those who aren’t really a climber, go on the Lava Trail on a bumpy Jeep! At Luweng Sampang, you can also have a walk-between-the-canyon experience in the Gunungkidu lagoon. Unlike the Grand Canyon’s red rocks, these rocks appear green due to erosion of the water. You can swim and play in the waters on a hot day in Yogyakarta and marvel at the watery curtain. Unlike Iceland’s man-made blue lagoon, the lagoon at Lepo waterfalls is a natural beauty. With the shade of the trees surrounding the lagoon, you do not need to be worried about getting a tan! 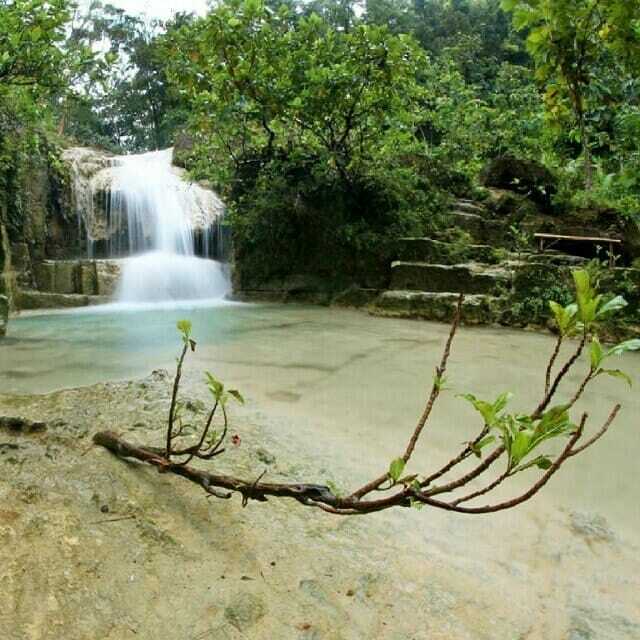 The beautiful waterfalls are also similar to Erawan Falls in Thailand. It has four levels of lagoon, with differing depth that is suitable for both the young and old. For outdoor lovers, you will definitely need to try this! Even though it may look like a huge hole from land, to get to this scene, one must rappel and cave into the vertical cave. 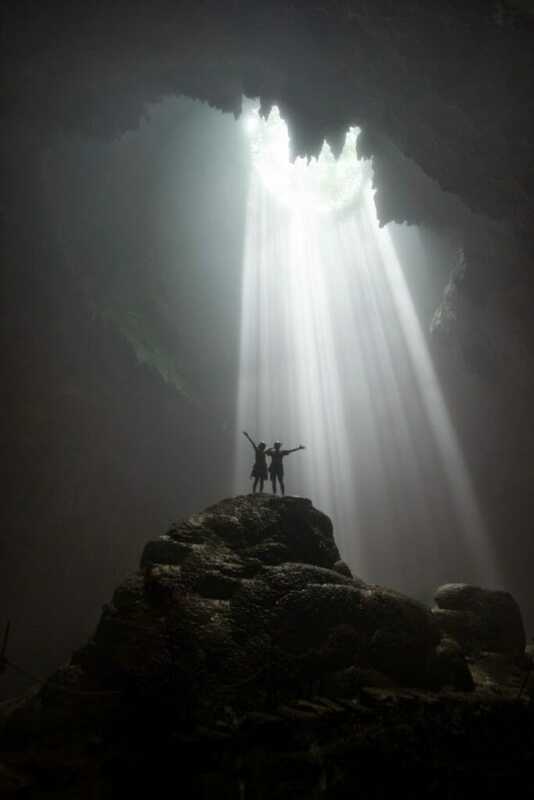 Unlike the man-made Pantheon, the Heaven’s Light inside the Jomblang Caves is definitely worth the trouble. 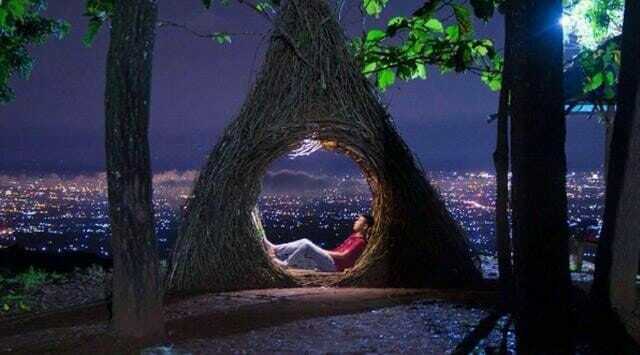 When inside, take some time to gape at the ancient forest. 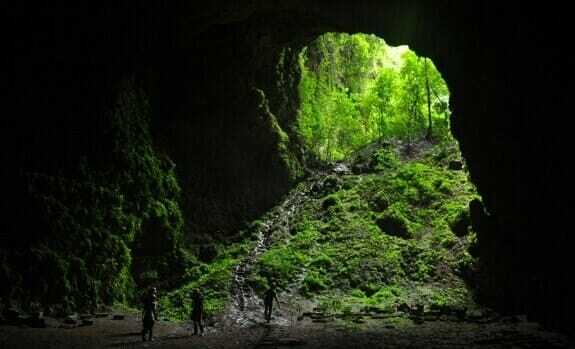 Natural vegetation lined the opening of the caves, all the way to the end where the site of the heavenly light is. 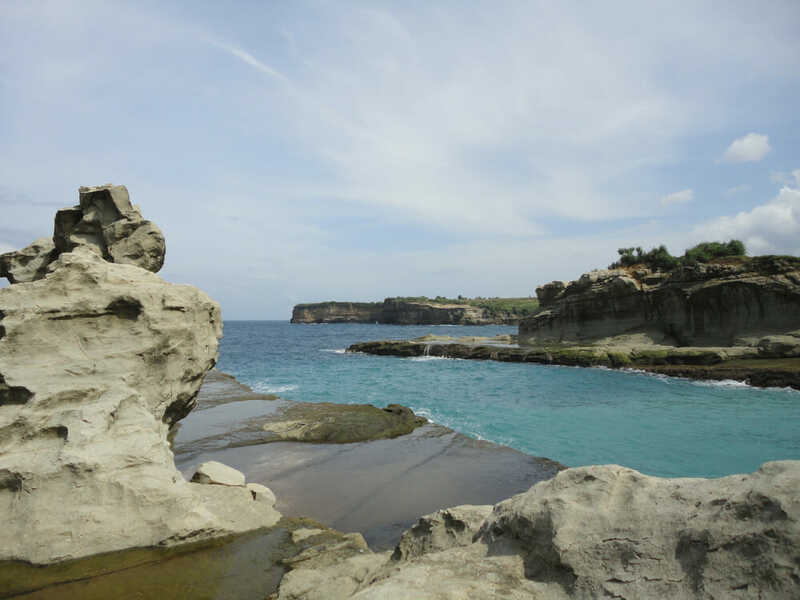 Take a day trip to Parangtritis Beach located an hour’s drive away from the city centre. 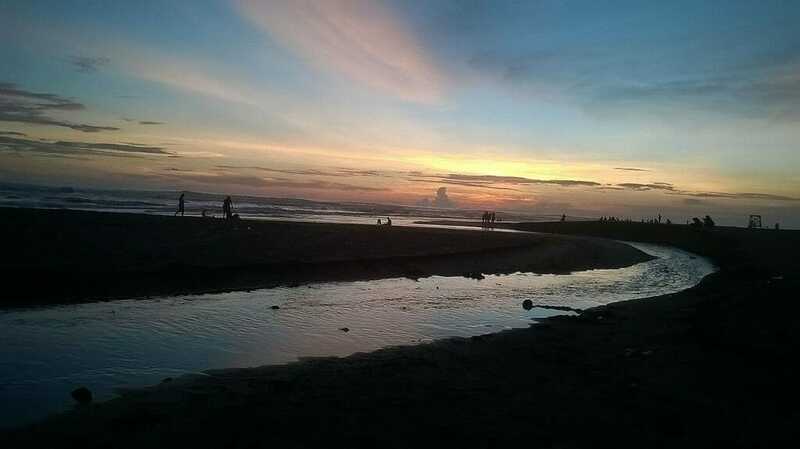 As with many locations in Indonesia, this beach is known to be a sacred place. Javanese people believe the legend that wearing green, or yellow-green will incite the anger of Kanjeng Ratu Kidul, so do avoid those colours if you plan to visit! There are various activities that you can partake in when on this beach: Paragliding for the thrill-seekers, sandboard down the black sand dunes, ride a horse at the edge of the beach, or go faster with an All Terrain Vehicle (ATV). Looks like you no longer need to travel to the deserts to sandboard! Becici Peak has recently gained attention as Obama visited in June 2017. Other than enjoying the view at 380 metres above sea level, walk through the pine forest and film your own version of Winter Sonata. Don’t these pine trees remind you of the picturesque Nami Island? 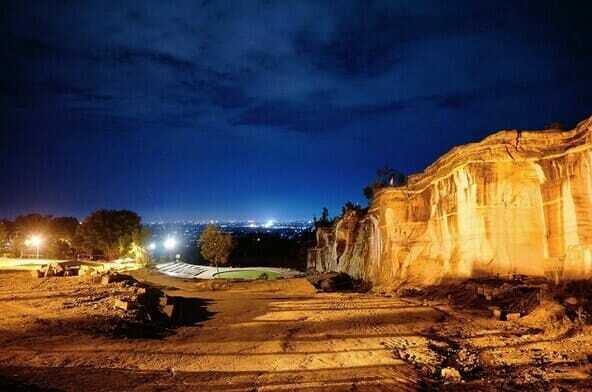 This cliff park was a former stone mining quarry that provides incredible views of the nearby region. The cliffs look as though it has been intentionally carved, but are essentially a result of its former mining days. Visit this park either in the late afternoon or at night, where you can admire the beautiful natural landscape of the cliffs. 8. Get your cameras ready for the selfie and wefie top spot at Pinus Pengger! 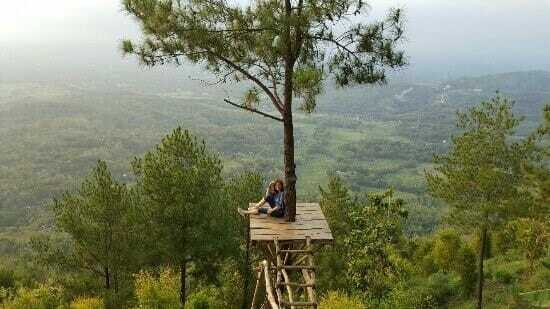 Pinus Pengger is actually a pine forest that offers a great nature trail. Recently, it has also included viewing posts that are popular among locals and tourists for photographs. Rather than heading to the common places like Taipei and Korea, couples looking for venues for their pre-wedding shoots should definitely consider Pinus Pengger! 9. Get a splash of your time at Klayar Beach’s water geyser! Though Klayar Beach is one of the furthest attractions (about three hours by car), this beautiful and pristine beach is definitely worth the time and effort. Unlike the great geysir in Iceland that you’ll have to pinch your noses to get close to, this natural water geyser is a feast to your eyes, ears, and noses! The water geyser shoots saltwater high into the air, whistling as it sprinkles down. For a taste of a more secluded beach, head over to Klayar Beach! Yogyakarta truly houses the wonders of nature. With many tourists flocking to all parts of the world to get an experience of climbing an active volcano, watching a geyser, and swimming in a natural lagoon, what’s great is that you can get all of that in Yogyakarta!